Google recently started offering GMail-like hosted email service for universities and beta-testing private domains. 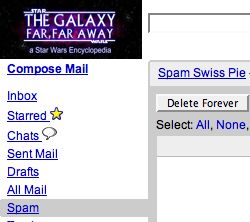 As soon as the “Google announced the beta”:http://googleblog.blogspot.com/2006/02/big-mail-on-campus.html of the service, I signed up my “Star Wars website GalaxyFarAway.com”:http://www.galaxyfaraway.com/gfa/ for “hosted GMail”:https://www.google.com/hosted. Spent the afternoon in south Boston at the St. Patrick’s Day parade. 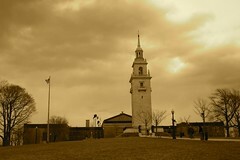 Take a look at the pictures I took at Flickr. It has been one month since I started writing for “Apple Matters”:http://www.applematters.com and it has been quite a revelation. I now know what it feels like to have a weekly deadline- and however much I love Apple products, 7 days are not always enough to come up with something new!